I spent most of the weekend working on my Dotty Stars. I have 8 blocks done in the cool colors – blues, greens, purples -- and am now working on another set of 8 blocks in the warm colors – reds, oranges, yellows. I can’t believe how long it takes to make each block! Granted, they are 18” squares, but sheesh, they take forever. I am paper piecing them for accuracy, which is much easier than traditional piecing on this block. 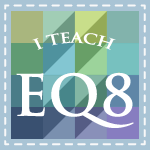 I redrew the block in EQ6 so I could print off my own foundation papers. Here is the pink star. I am also working on a pattern and quilt top which will be submitted to a magazine and published this fall. More on this as later, but here is a little sneak peek. 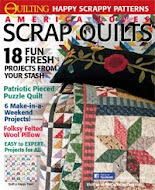 Look for the whole pattern in the October issue of Quilter’s World. Last week I finished another set of 5 blocks in my Sylvia’s Bridal Sampler. These are so fun to make, but some of them pose a real challenge. I hope you have taken the opportunity to download my FREE Block of the Month – Tulip Tiles. Blocks 1 and 2 are both available now for free!! In a few days Block 1 will be removed as a free download and will be available for sale on my website. Block 2 will remain free until March 18. I will add Block 3 the first week of March. You will always have about 5-6 weeks to download each block for free! Click on the Tulip Tiles link or on the right side bar to go to the free download page. Hope you are staying warm and digging out of the snow (for all of you in the USA)!! Yes, it snowed AGAIN in Kansas today. That dratted groundhog! I was so hoping Spring would be early this year. Thank goodness I have my quilting to keep me happy! Your Dotty Stars are just coming along fabulously!! I love those stars Reeze. They are so cute....but dang, that's a LOT of pieces. Eeek. I just love your dotty stars!! 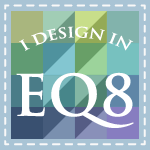 Bit then I seem to love all your designs.